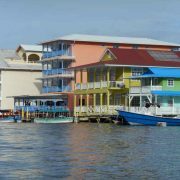 Bocas del Toro is an archipelago off the northwest coast of Panama. 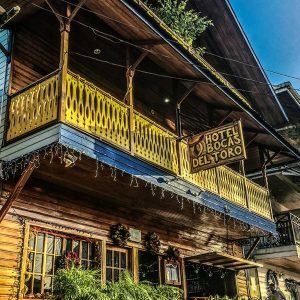 Bocas del Toro is an eco-tourism favorite with English-speaking and other tourists traveling to this Central American country. 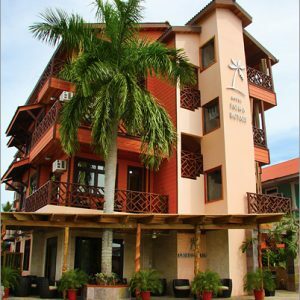 It consists of seven islands (including Isla Colón, Isla Carenero and Isla Bastimentos) with Bocas Town, its regional capital and the “big city”, for those looking to shop, dine well, and explore nightlife. Adventure lovers will find plenty to keep them occupied, as scuba diving, snorkeling, sailing, surfing and hiking are first-rate. If you’re more of a tour-goer, never fear—Bocas del Toro offers a host of them, ranging from sailing to Nivida Bat Cave tours. 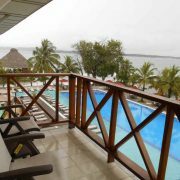 Bocas del Toro vacation will take you to an archipelago off the northwest coast of Panama. 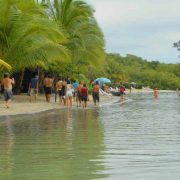 Bocas del Toro is an eco-tourism favorite with English-speaking and other tourists traveling to this Central American country. 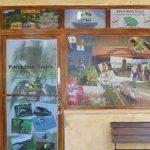 It consists of seven islands (including Isla Colón, Isla Carenero and Isla Bastimentos) with Bocas Town, its regional capital and the “big city”, for those looking to shop, dine well, and explore nightlife. Adventure lovers will find plenty to keep them occupied, as scuba diving, snorkeling, sailing, surfing and hiking are first-rate. If you’re more of a tour-goer, never fear—Bocas del Toro offers a host of them, ranging from sailing to Nivida Bat Cave tours. 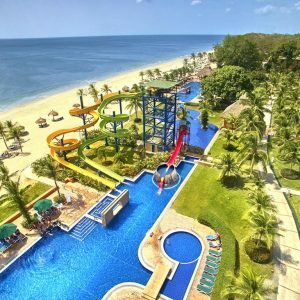 Day 6: Riu Plaza, Panama City check out | Airport transfer Tocumen Airport.